Don’t panic if your home hasn’t sold yet. There’s still time. 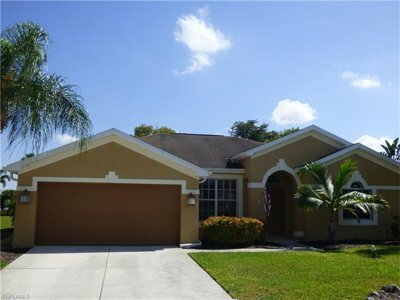 Besides, season isn’t the only time homes sell in SW Florida. Years ago, home sales peaked in the summer. The last few years they’ve been higher in season and just after season as it takes a while to close a home once it goes pending. As you can see, closings tail off after June but there are still sales. There are more eyeballs here in season so there is more potential however some are just lookers exploring opportunities for years in the future. If you have a home you’d like to sell and it’s not selling, we offer some tips on getting it sold now. Hire the best Realtor you can find. You want one with pro-active marketing. One that advertises where the buyers are. Targeted online advertising is a must these days. If the agent you interview doesn’t understand this, keep shopping. Stage your home. No, you don’t have to hire a professional stager. You do have to follow some simple guidelines. Consulting with a Realtor or stager knowledgeable in bringing a home to market so it shows its best will help. Professional photos are a must. With so many buyers shopping online, having bad photos will simply turn them off. Hire an agent that either hires a photographer or one that takes great photos and has a graphics design department touch up each photo. Fix repair items. Buyers imagine problems ten times worse than they really are. Fixing a few simple items will go a long way to getting that contract. Make home easily available to show. Nothing turns off a busy Realtor more than making your home hard to show. Things like 24 or 48 hour notice reduce showings significantly. Place your home on lockbox and allow your Realtor easy access and watch your showings multiply. Curb Appeal-Look at your home and see how it compares to the neighborhood. Does your home need paint, landscaping, or de-cluttering on the outside? If so, an investment here can increase showings. Talk to your neighbors. If a neighbor has an un-kept yard or a boat in the yard, chances are it will affect the value of your home. Sometimes working out a deal with the neighbor can pay big dividends. If that doesn’t work, consider code-enforcement or the HOA. No buyer wants to come in and inherit a mess of a neighbor. Price it Right. Don’t price it by what you need out of it. Price it as if you were a buyer. Would you buy your property at your price? If you over-price your home, you’re essentially buying back your property for the price you’re offering. Being overzealous leads to you keeping your home because you value it more than the public does. If that’s the case, maybe you’re not ready to move yet emotionally or financially. If you really want to move, you can’t love your home more than the market does. Price it at today’s market value and move on to your next home. Be gone for showings. Nothing hampers a potential home sale more than a seller sticking around trying to help. Buyers extract motivations and information from sellers that can only hurt. As a seller, you don’t know what’s important to that buyer and saying the wrong thing can lose the sale. Be gone if possible, or be invisible if not. Let your Realtor answer any questions. If you don’t trust your Realtor to do this, then you’ve hired the wrong Realtor. If no Realtor will ever be as good as you, then the Realtor accepted the wrong client. You can always search for your next home at www.LeeCountyOnline.com It’s updated every 5 minutes and it has the best photos available from MLS. 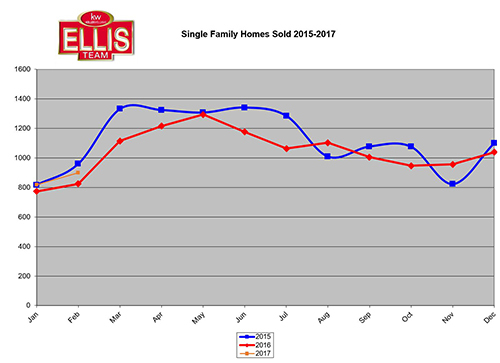 If you’d like to talk to experienced agents who know how to get homes sold, always call the Ellis Team at 239-489-4042. We’d love to help you make your next move! 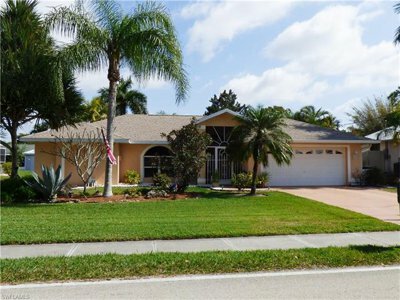 Posted in Cape Coral, Cape Coral Real Estate, Fort Myers, Fort Myers Beach, Fort Myers Real Estate, Gated Community, Open House, Reflection Lakes, Southwest Florida Real Estate.Tagged 13795 Bald Cypress Cir, 14381 Hickory Fairway Ct, 15271 Thornton Rd, 15830 Beachcomber Ave, Ellis Team Open Houses, homes sell in SW Florida, Iona Area, pool home close to beaches, professional photography, stager.